Lower Hutt students were excited to communicate their learning at a number of various school wide events. The Māori achievement awards night was a highlight as students used the opportunity to share about our awa, its significance and its current state with whānau and community. 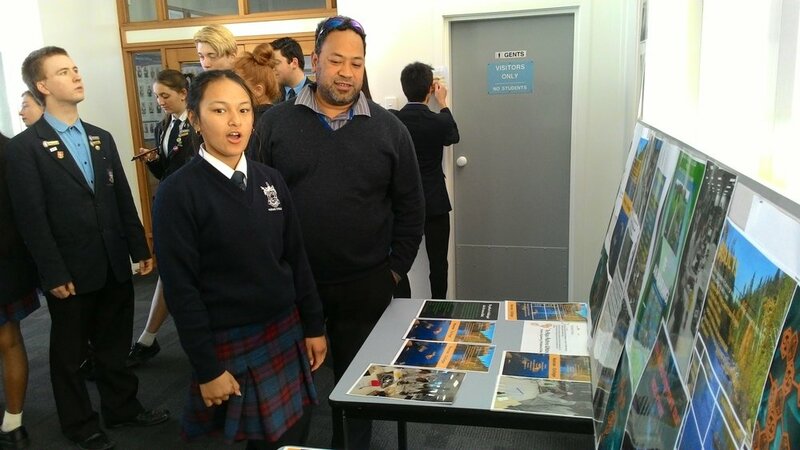 The interest generated was high, motivating rangatahi to express kaitiakitanga and rise to become our environmental managers of the future. … the exercise of guardianships; and, in relation to any fisheries resources, includes the ethic of stewardship based on the nature of the resources, as exercised by the appropriate tangata whenua in accordance with tikanga Māori (section 2, Fisheries Act 1992). Ko te whenua te waiū mō ngā uri whakatipu. Our land and resources provide sustenance for our future generations. Rangatahi were ready to take action, grounded with a sense of purpose that the identity, health and wellbeing of iwi, hapū, whānau and Māori is inextricably linked to their relationship with the environment, taonga, lands, waters and maunga. This is reflected in their close connection and whakapapa to the natural environment. 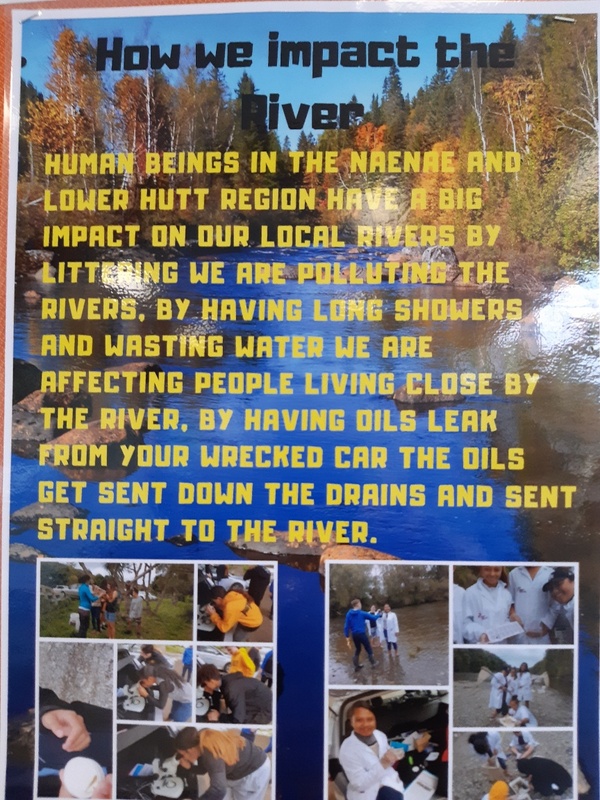 At the end of the year, our students also created displays for their local Naenae Community Library as a means of raising awareness to the wider community on the value of our rivers and streams.